George R. Hopkins’ suspense/thriller, “Chasing the Devil's Breath” is a fast-paced, can’t-put-down read that incorporates everything a reader could want: murder, mystery, mayhem, and romance. Fans find Tom Cavanaugh, a retired New York detective starting his first day as a private investigator. His first case involves looking for a missing person with one stipulation, "no police involvement." In another part of the world, his special ops officer brother turned Jesuit Priest, is also doing his search on an individual who is manufacturing Devils Breath, a unique drug that leaves its victims in a zombie-like state with no free will. Both brothers end up in Mompox, Columbia where their lives are in danger and people dying right and left. Numerous new characters evolve that seem to have a past relationship with the brothers, one of which includes Maria, who is in love with Father Bennis. The character I most felt a fondness for was Chico, a street-smart young boy who saves everyone's lives more than once. He is careful to watch out for the brothers and warn them of any danger. Hopkins story is very intriguing, riveting, and spellbinding. His ability to transition between Staten Island and Mompox is smooth, and you will never miss a beat. Even though there are numerous characters, from the vivid descriptions, conversations, and colorful scenarios, you will come to love or hate some of them. He provides great vocabulary and humor to differentiate between the personalities of the two brothers. The topic of synthetic drugs and the harm they can do fits quite well with current events today. I found the plot to be original in that it is more descriptive and in-depth than most suspense/thrillers where you can almost guess the ending. Interestingly enough the author has no background in law enforcement; his work is in the academic world and serving in the Marine Corps. However, you can tell he has done his research as it shows in his ability to describe the legal process, and how law enforcement works. I think his time in the Marine Corps gave us the vivid and colorful description of jungles. 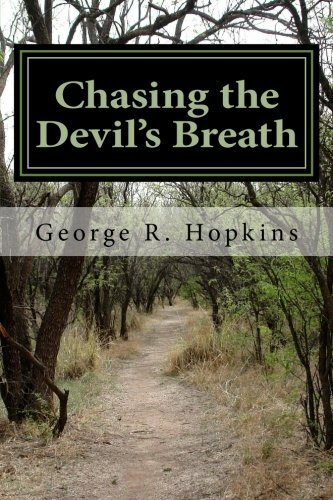 I highly recommend, “Chasing the Devil’s Breath” by George R. Hopkins, which is just one of a series. It is easy to read and understand, and very entertaining.